What Does the Future Hold for Mortgages? There have been a dizzying number of changes to the mortgage rules over the last six or seven years. The red hot markets in Toronto and Vancouver coupled with increased household debt and concerns over the risk to the Canadian tax payer through CMHC have caused the federal government to step in repeatedly. Here are a few of the changes we have seen. Maximum amortization from 40 years to 25 years. Mortgages must qualify on the stress test rate which is currently 4.84%. Homes over $500,000 need 10% down on any amount over that threshold. Homes over $1,000,000 are not eligible for mortgage insurance. Refinances can no longer be guaranteed by mortgage default insurance. Foreign buyers faced additional restrictions. Home Equity Lines of Credit are maxed at 65% of the property’s value. Refinances are maxed at 80%. All outstanding credit cards and lines of credit have to be included at a 3% repayment. Increased mortgage default insurance premiums. This list could go on but these are some of the major ones. Recently the powers that be have announced another round of proposed changes which, if history holds true, we would anticipate to come into existence in October of this year. The overall indebtedness of Canadian households through Home Equity Lines of Credit is a concern which may signal a further set of limitations to this type of mortgage. There is consideration being given to a risk sharing model between the mortgage insurers and the banks. At the present time if you were to default on your mortgage the lender has the assurance that the default insurance will make them whole. Going forward this may not be the case. How could you be affected? There will likely be an increased level of scrutiny applied to mortgage applications. If your credit is blemished or less than perfect you could face higher rates or be shut out of buying a home. They will likely also want to see savings beyond just the down payment and closing costs. The fact of the matter is that if a bank has an increased risk overall they are going to certainly be more selective in who they lend their money to. The days of the best 5 year rate for everyone may be a thing of the past. Currently there are lenders in Canada who charge slightly higher rates and make allowances for damaged credit, short self-employment tenure or other issues a borrower may be facing. Though these companies have nowhere near the loose lending guidelines in the U.S. which led to the melt down, the government would like all lenders in Canada to abide by the same guidelines and looking at ways to bring this into reality. We will have to wait and see if these or other changes are actually implemented. It is fair to say that until the government is satisfied the housing sector no longer poses a threat to the economy, it will remain at risk of further changes. Long story short, if you are considering purchasing then you may want to proceed sooner rather than later. Rates have risen recently and there is uncertainty over the future of mortgages. Call a well-qualified Dominion Lending Centres mortgage professional today for assistance. Thank you to DLC’s Pam Pikkert for this info! Well put, Pam! 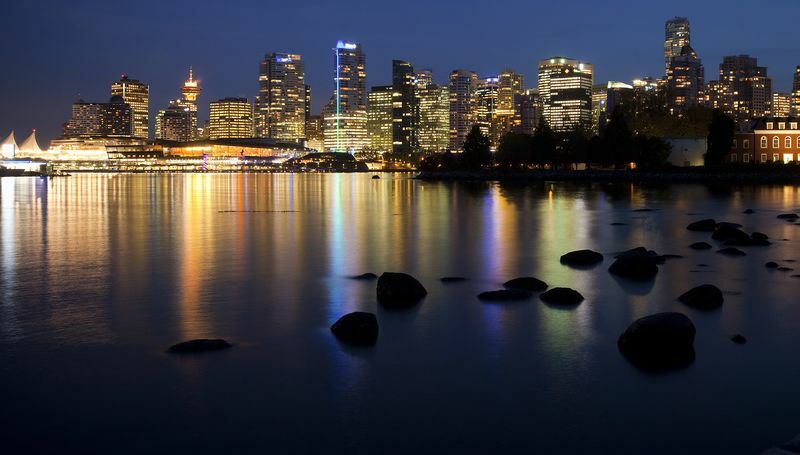 After a short slump late last year, Vancouver’s real estate market is roaring back to life! New home prices in Canada’s most-expensive market jumped 1.5 percent in June, and have gained 5 percent since March, data released Thursday by Statistics Canada show. That’s the biggest three-month increase since 1990. Prices for existing homes are also on fire, gaining 11 percent in the five months through July, according to data released this month by Vancouver’s real estate board.